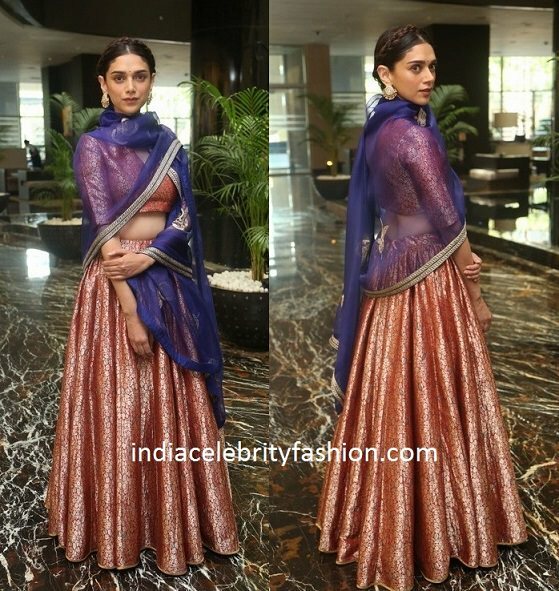 At the audio launch of her upcoming movie Cheliyaa,Aditi rao hydari dressed in a raw mango lehenga with matching blouse and contrast blue dupatta.Braided updo hair and amrapali earrings completed her look. 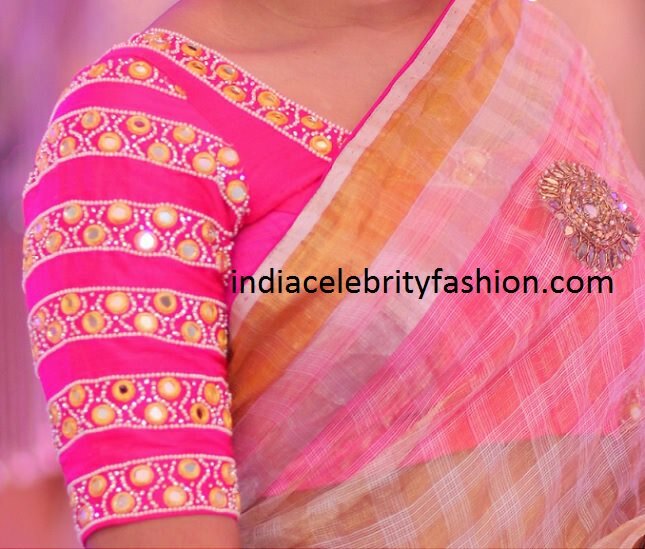 Beautiful pearl and mirror work blouse design. 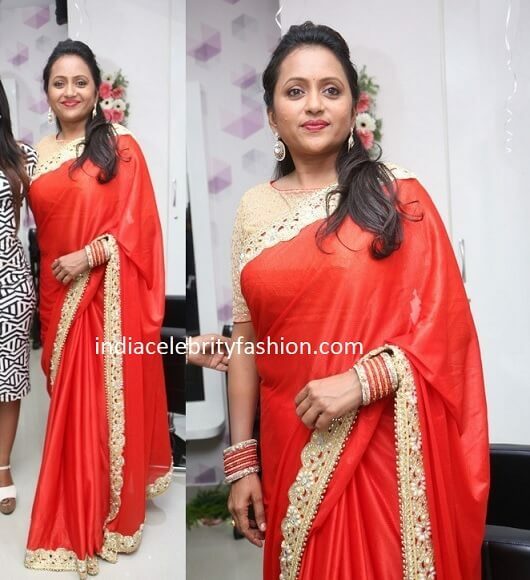 At a recent saloon launch in hyderabad,Suma kanakala donned a plain red color saree with cream color border and boat neck blouse.She looked good with matching earrings and stack of bangles.